Cuba's vegetarian restaurants offer ... pork chops? 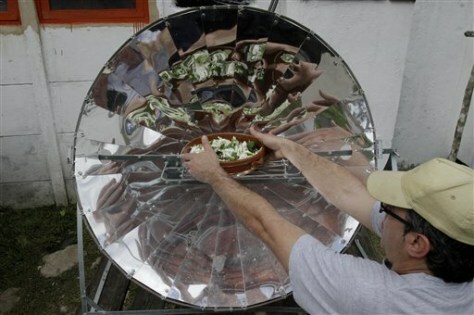 Cuban chef Inti Langaney cooks vegetarian food using solar energy at the eco-restaurant 'el Romero' in Pinar del Rio, Cuba, Tuesday, Feb. 15, 2011. Despite this kind of creativity, Cuba's state-run vegetarian restaurants had to start offering meat due to customer demand.